In addition to his blog Not Exactly Rocket Science, Yong has written both long- and short-form articles for just about every outlet covering popular science. The human microbiome is having a moment. Ads for probiotic yogurt have become commonplace while the news is dotted with studies suggesting that the bacteria residing in digestive tracts are responsible for conditions as diverse as irritable bowel syndrome, eczema, obesity and a panoply of psychological maladies. Like most potentially paradigm-shifting scientific ideas, this has led to a glut of studies and news stories that make it difficult for nonscientists to discern the legitimate, potentially impactful findings from the hyperbolic and the nonsensical. Over the last few years, Ed Yong has become one of the most popular and well-respected science journalists in the world. In addition to his blog, Not Exactly Rocket Science, the British author has written both long- and short-form articles for just about every outlet covering popular science. “I Contain Multitudes” represents his first foray into book writing. Fortunately, Yong’s compulsively readable prose survived the transition, as did his uncanny knack for making difficult technical concepts accessible to lay people. By the end of the slim volume, Yong has guided the reader through centuries of discovery and research about the microbes that live inside and on the surface of every multicelled creature, convincingly building the case that the people and animals we envision as single entities are actually more like ecosystems teeming with microbial life, mostly beneficial and sometimes pathogenic. The people and animals we envision as single entities are actually more like ecosystems teeming with microbial life. Yong doesn’t limit himself to current scientific knowledge about the microbiome. He traces the evolution of attitudes towards microbes over time, from amazement at the discovery of their existence, to their scapegoating as the cause of nearly all human ailments, to their elevation as necessary partners without whom complex life would not be possible. Crucially, he also differentiates the thoroughly researched findings regarding microbial life from the speculative and the ludicrous, helping the reader become a more educated consumer of scientific reporting in the process. 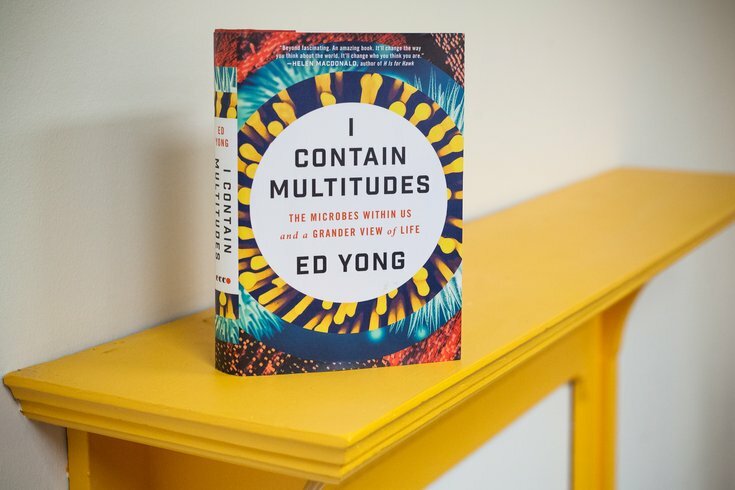 The strong narrative, rigorous reporting and fluid writing make “I Contain Multitudes” one of the most essential science books of the year. Yong’s wit, and endearing inability to pass up an opportunity for wordplay, are just a couple of the many bonuses that make it enjoyable, too.